High school English teacher Jake Epping has his work cut out for him in King s entertaining SF romantic thriller. Al Templeton, the proprietor of Al s Diner in Lisbon Falls, Maine, has discovered a temporal rabbit hole in the diner s storage room that leads to a point in the past 11:58 a.m. September 9, 1958, to be precise. Each time you go through the rabbit hole, according to Al, only two minutes have elapsed when you return to 2011, no matter how long your stay; furthermore, history resets itself each time you return to that morning 53 years ago. Al persuades Jake to take a brief, exploratory trip through the rabbit hole into 1958 Lisbon Falls. After Jake s return, a suddenly older and sick-looking Al confesses that he spent several years in this bygone world, in an effort to prevent President Kennedy s assassination, but because he contracted lung cancer, he was unable to fulfill his history-changing mission. You can go back, and you can stop the assassination, he tells Jake. Jake, with only an alcoholic ex-wife by way of family, is inclined to honor his dying friend s request to save JFK, but he also has a personal reason to venture into the past. A night school student of his, school janitor Harry Dunning, recently turned in an autobiographical essay describing how on Halloween night 1958 Dunning s father took a hammer to Dunning s mother and other family members with, in some cases, fatal results. An attempt to head off this smaller tragedy provides a test case for Jake, to see if he can alter the past for the better.Hundreds of pages later, once over the initial hurdles, Jake is working under a pseudonym as a high school teacher in Jodie, Tex., an idyllic community north of Dallas. Knowing who s going to win sporting events like the World Series comes in handy when he s short of funds, though this ability to foretell the future turns out to have a downside. Indeed, the past, as Jake discovers to his peril, has an uncanny, sometimes violent way of resisting change, of putting obstacles in the way of anyone who dares fiddle with it. The author of Carrie knows well how to spice the action with horrific shivers.In Jodie, Jake meets a fellow teacher, Sadie Dunhill, who s estranged from her husband, a religious fanatic with serious sexual hangups. Jake and Sadie fall in love, but their relationship has its difficulties, not least because Jake is reluctant to tell Sadie his real identity or reason for being in Texas. Clearly inspired by Jack Finney s classic Time and Again, King smoothly blends their romance into the main story line, setting up the bittersweet ending that s as apt as it is surprising. He also does a fine job evoking the sights, sounds, and smells of the late 50s and early 60s. The root beer even tastes better back then.By early 1963, Jake is zeroing in on a certain former U.S. Marine who defected to the Soviet Union and has recently returned to the U.S. with his Russian wife. Relying on Al s judgment, Jake is only about 75% sure that Lee Harvey Oswald alone shot JFK, so he spends much time trying to ascertain whether Oswald is part of a conspiracy. Jake admits to not having researched the Kennedy assassination while still in 2011 Maine. If he had, he might ve given up after concluding that it would be hopeless to try to stop, say, the Mafia, or the CIA, or Vice President Johnson from killing Kennedy. 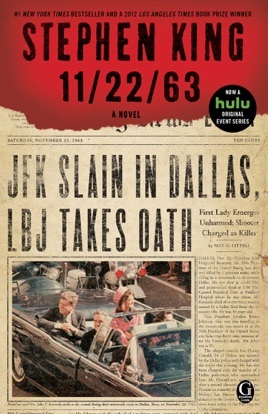 On the other hand, the plot would ve been a lot less interesting if Jake, convinced on entering the past that Oswald was the sole gunman, felt compelled to eliminate Oswald long before that pathetic loser settled into his sniper s nest in the Texas School Book Depository, toward which Jake winds up racing on the morning of November 22, 1963.In an afterword, King puts the probability that Oswald acted alone at ninety-eight percent, maybe even ninety-nine. It is very, very difficult for a reasonable person to believe otherwise, he adds. King cites several major books he consulted, but omits what I consider the definitive tome on the subject, Vincent Bugliosi s Edgar-winning Reclaiming History: The Assassination of President John F. Kennedy (Norton, 2007). Bugliosi, who makes an overwhelming case in my view that the Warren Commission essentially got it right, covers the same ground as a book King does mention, Gerald Posner s Case Closed: Lee Harvey Oswald and the Assassination of JFK (Random, 2003), then goes on to destroy the arguments of the conspiracy theorists, with wit and ridicule as weapons. Of course, there will always be intelligent and otherwise reasonable people, like PW s anonymous reviewer of Reclaiming History and King s wife, novelist Tabitha King (a life-long contrarian, King tells us), who side with the host of cranks emotionally invested in believing Oswald was the patsy he claimed. Those folks may have a problem with this suspenseful time-travel epic, but the rest of us will happily follow well-meaning, good-hearted Jake Epping, the anti-Oswald if you will, on his quixotic quest. Reviewed by Peter Cannon, PW s Mystery/Thriller reviews editor. 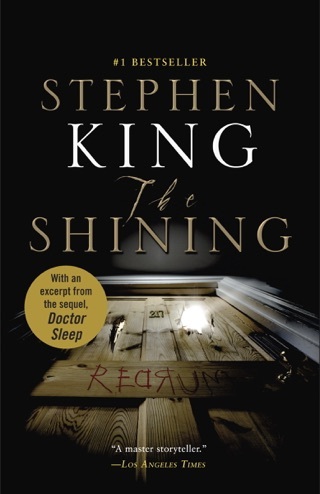 Just finished the book and OMG what a fantastic read it was. I downloaded the sample before the book was released and just after that, I knew I would be hooked. King does not disappoint with this creative and fascinating storyline. Once I started reading I was hooked. The writing is amazingly descriptive and I enjoyed every page. It blew my mind!! Bravo Mr. King!